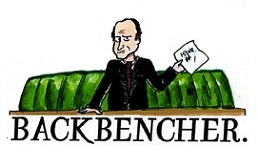 The Backbencher – Augmented Reality – The Future of Advertising? As technology becomes more integrated into our everyday lives, new tools are being harnessed as marketing companies attempt to reach people in new and exciting ways. Augmented reality (AR) is one of these methods; although not much of a new concept, the technology has only in recent years started to gain traction. There are high expectations for the AR industry with a promising future ahead of it; in 2013 it is predicted $300 million in AR related revenue will be generated, rising to $5.2 billion in 2017 alone. The technology, which works by using a camera on a mobile device, grants its user real-time augmentation of their surroundings with virtual layers of information incorporated into the panorama, whether it be an image, video or text. It is a new and interesting way to supply information, creating a unique experience that can be designed around the user. The industry is still in its early stages, but there are already a number of phone apps available that take advantage of this new technology. Blippar, available on both Android and iOS, is one of the apps leading the charge in this field. Described as an image-recognition phone app that can ‘instantaneously convert anything in the real world into an interactive wow experience’, it has been used by over 2.4 million people already. The app creates virtual ‘blipps’ – which can take the form of an interactive 3D image, game or sound – when the device’s camera is focused on a registered image or logo. Blippar has already secured a large number of high-profile companies, including Budweiser, Dominos, and Nestle, with the promise of more support on the way. 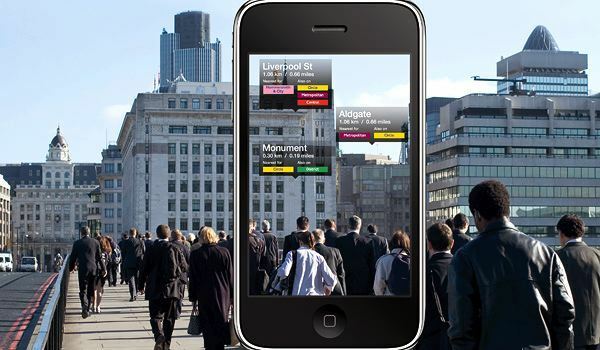 Google Goggles, another widely used AR app, works when a photo is taken of a famous landmark, item, image or painting. Analysing the photo, Google will search its database and provides the user with any information they have available through its various online services; Google therefore keeps you within its eco system and profits off advertisements. Considering the wealth of information Google have available at their fingertips the opportunities presented with this app are huge. AR apps are impressive, but are currently let down by a number of problems. First off, support for them is currently quite limited and their implementation leaves much to be desired; not enough companies have yet signed up for Blippar, and Google Goggles has proved to be unreliable as not enough items are recognisable. 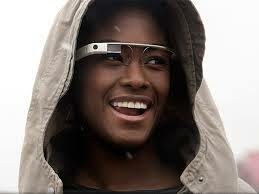 Google Glass has been criticised for its geeky and ‘uncool’ looks. Another problem to tackle is the fact that these AR apps need to be opened in order for it to be initialised. This problem can be overcome with ‘wearable technology products’, much like Google Glass. With Google Glass information can be accessed and supplied much more regularly than with a phone or tablet, paving the way for increased marketing opportunities. The aesthetic of the product leaves much to be desired however, and in its current incarnation most people would not be comfortable wearing something currently so rare and geeky. AR in its current forms has its problems; there is not enough support for it and the technology needs better implementation. These problems will be easily overcome however as the industry grows and more apps become available; it is expected that 2.5 billion AR apps will have been downloaded by 2017. With such high numbers, it will be impossible to ignore the technology as it matures and becomes more widespread. AR is the future of advertising. Over the last twenty years marketing has been transformed with the rise of the internet, and with AR technology becoming more widely available the industry is set to evolve even further. AR provides a new, interactive experience for the users and presents a fantastic opportunity for advertisers to reach the public in a unique way.